Our first WeeUsables sale was held in Lancaster’s Farm & Home Center in the spring of 2010. 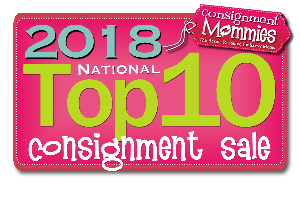 Since then, the sale has grown and even added locations, but my team and I are still dedicated to running the best quality children’s consignment sale in the area! We strive to provide a clean and safe community event to help local families sell and buy outgrown and unused children’s and maternity items. In addition, through our Stuff-a-Bag sale, we are honored to have donated over $89,000 to local charities that benefit women and children in our community. We would love to help your family SHOP, SELL & HELP your way to big savings at the next WeeUsables Consignment Event! Over $89,000 Donated to Local Charities. On everything for your kids! Sell all your kids' stuff—fast—start at 65%! Get in the sale early! Earn up to 80%! How Can Wee Help You? Turn that kids' clutter into cash! Clean out and clean up! Our consignors earn an average of $340 per sale! Your information will not be shared or sold for any reason. WeeUsables is an independent, local business run by, and for, local parents. Each season, over 1,000 local families will sell new and gently-loved items their kids no longer need at our Lancaster and York, PA sales. Open to the public. Children and strollers are welcome! © 2019 WeeUsables Consignment Event. All Rights Reserved.